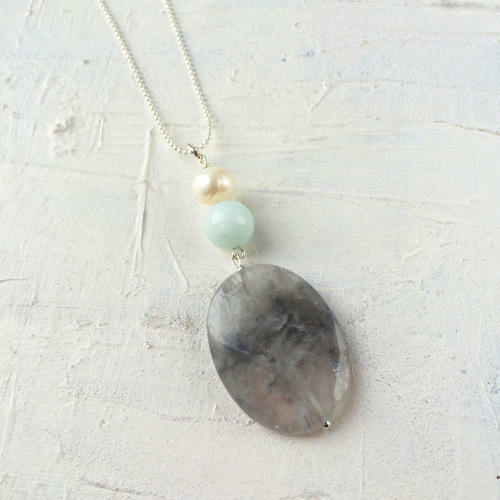 Elegant long pendant necklace with grey cloudy quartz, amazonite and a freshwater pearl on silver plated chain. Length of pendant 8cms, chain 80cms. Designed and hand made in England.